Tita’s Butterballs, Fresh Salad Greens 10am – 12 noon Today! 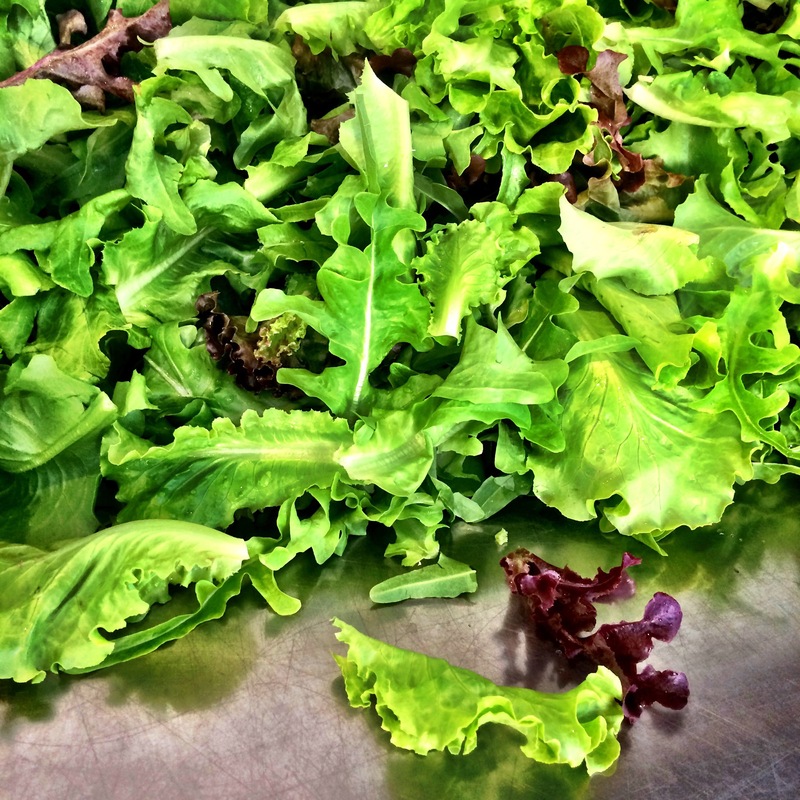 Despite drought conditions, Farmer Luca is still managing to grow sweet salad greens with saved rainwater. C’mon rain!! Delicious local fruit flavors in single-size cups – coconut-based vegan ice cream from I-Sha is made with handmade local coconut cream, brown sugar, spices and local fruits and veggies! 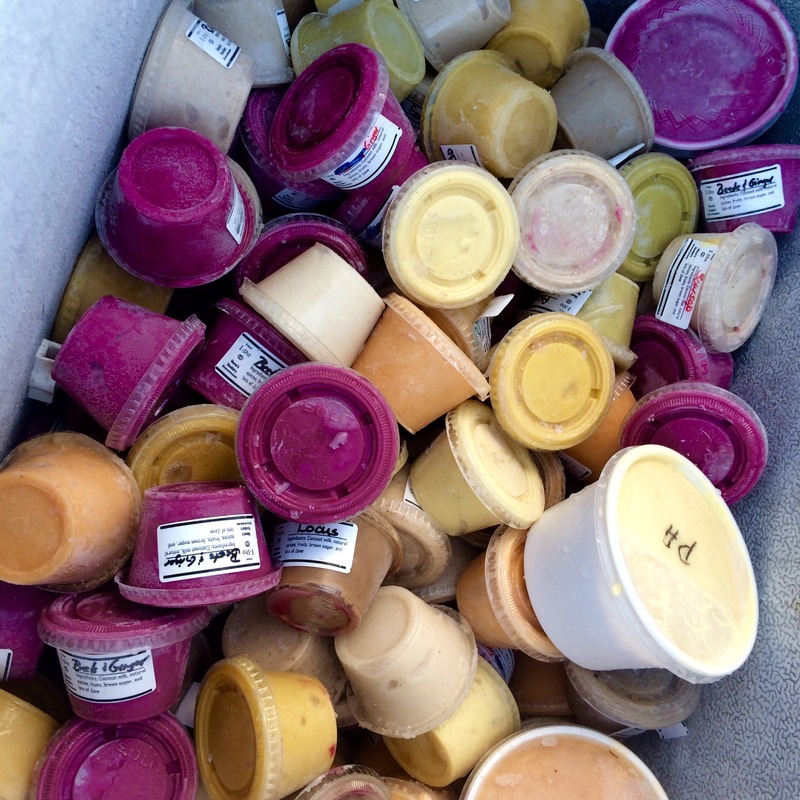 We’ve got spoons to lend at the farmstand, so take a moment and cool off with a little treat! 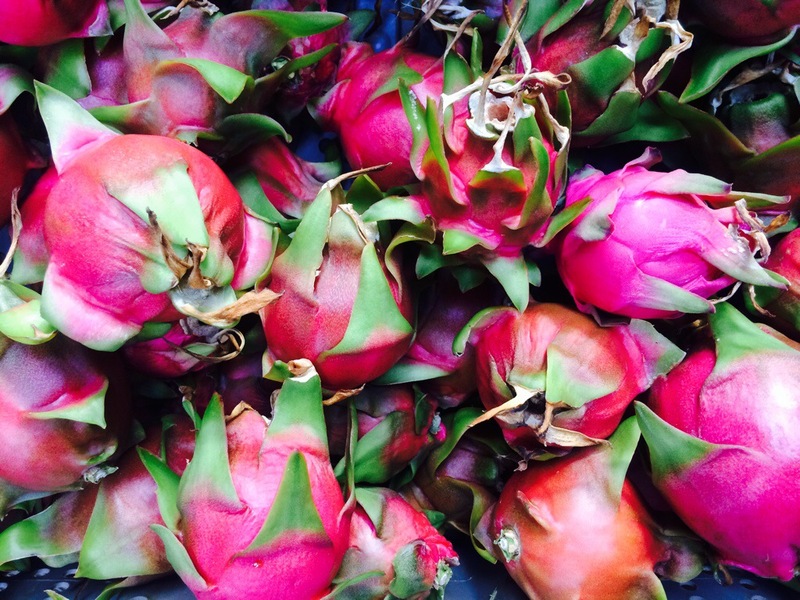 Dragonfruits are a summertime crop for ARTfarm. Saturday, July 4th, 10am – 12 noon: Sweet salad mix, dragonfruit, lots of passionfruit, papaya, mint, garlic chives, and lemongrass. From our partners: we have the hands-down crowd favorite Viequen Butterball mangoes from Tita, weighing a pound and a quarter each on average. 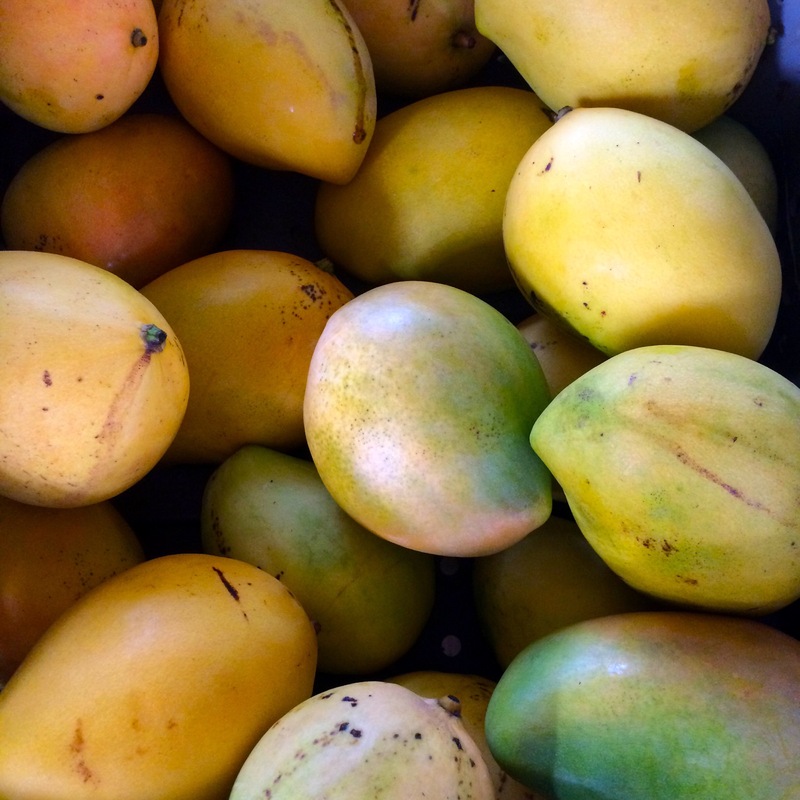 We should be getting some other mango varieties from farmer Denis Nash this morning, and of course we’ve got vegan coconut-based local ice cream in a variety of innovative natural fruit flavors from I-Sha. Stay safe and enjoy this beautiful Emancipation and Independence holiday weekend. Unlock your assumptions and set them free! Last night we attended the open house of local artist LaVaughn Belle’s new studio in Free Gut. Very inspiring!